I spent yesterday contemplating the NOT-Independence we have in this country. Freedom did not ring in 1776 and for many Americans, it still doesn’t today. And give the chaos and uncertainty that we are facing — the very clear and present threats to our communities — it could have been a very bad day. 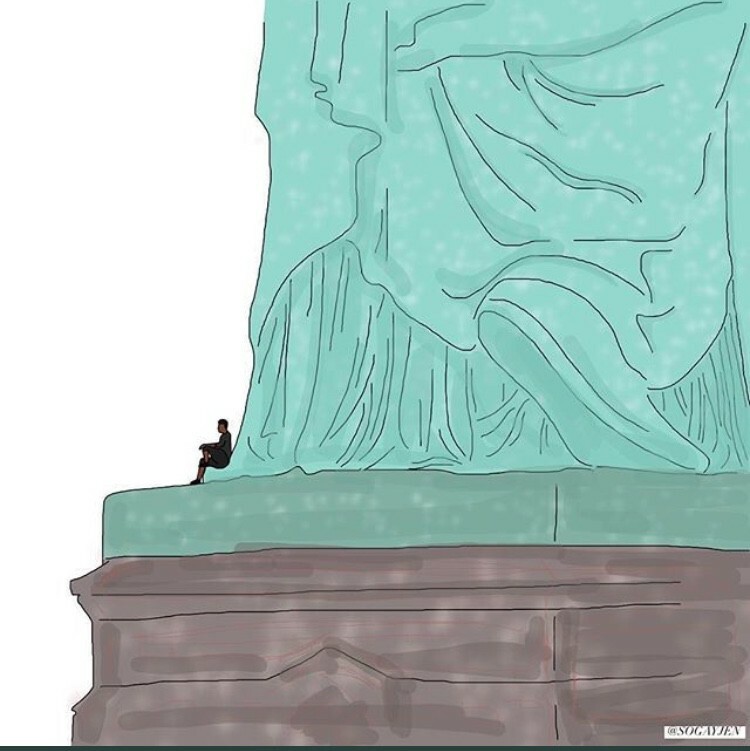 But as soon as I saw Therese Patricia Okounou’s courageous act of civil disobedience at The Statue of Liberty, I remembered that something else is emerging. A “good trouble” as Representative John Lewis describes it. One that is disruptive and creative. And one that is unleashing a new story of America, a new declaration of our interdependence and mutual wellbeing. And it is inspired by the resilience of black, brown and indigenous people who are leading with love from the margins. Therese climbed lady liberty for all of us. Because we are not free until everyone is free.